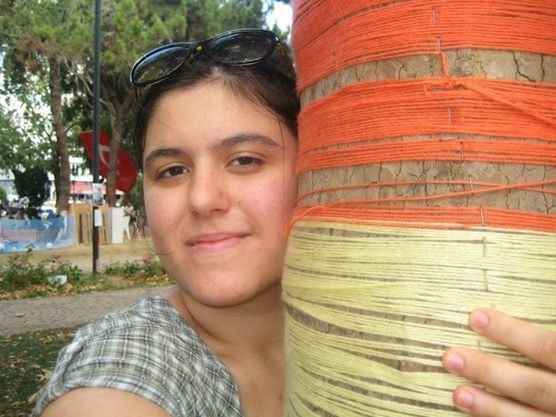 Guest Blog by Turkish college student Gizem Y. She's a sweetheart for pitching in this month and providing us with today's challenge. She's working hard on her English and I decided not to edit this, because her spirit and words work. I remember those times which isn't so past but was definitely recent.. The period that I spent my time thinking on how to do, how to achieve, even maybe how to think the correct way... People who have experienced depression once throughout their lives can relate to what I will be saying now. Besides thinking, depression is really one of the most regular and common illnesses we might catch, maybe even from other people. In addition, doctors who try to help us with depression mainly say that first step to get out of depression box is TO DO. And mainly first step matters. Whatever you do, just do it or just do something different. I can feel that with all my heart when I put into practice as same as everyone can. But maybe it wasn't full learned by myself until now-- therefore this is my reason to choose this topic for writing when my friend Jana proposed me to do. Sometimes you just cant 'do' or you feel so, mainly it's this feeling. So I can just give one advice from myself now, instead of thinking, do it, or do something else but don't spend time thinking on how to do. Make mistakes. This is certainly better because it leads to some outcomes. It makes your busy and perhaps worrying mind open for some opportunities. Waiting for the right time doesn't lead to any road and there is a fact standing, that time will not ever come to you. Also I think no one would want to wait for something in the center of a busy road, normally. But we mostly wait for something happen while our mind is busy thinking some thing. Now, take a deep breath or whatever, and try getting out of your depression box somehow built. Life is somehow both so long and too short for worrying and only thinking whilst outside of the box is world and freedom existing there as the most beautiful living thing on our world. This is wise advice, Gizem. Thank you for writing this lovely post!